We have been coming to Punta Cana for so many years and love it so much, we thought it would be fun to see what is going on outside of resorts. 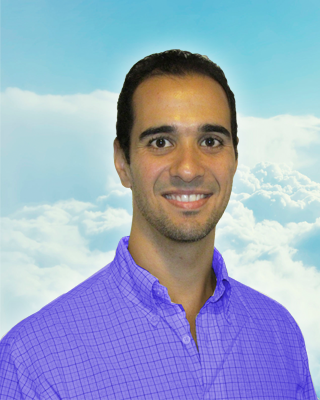 We contacted Felipe at REMAX TROPICAL, and with his help we found the perfect place for us. He showed us the condos that fitted our needs, we made an offer on one and got it, but his work didn't stop there. He took us everywhere we needed to go (electricity, cable, internet, bank, etc.) and helped us with all that, which was INVALUABLE help!!! He and the whole REMAX team were so good with communication, told us exactly what we had to provide as far as paperwork and everything, so everything went smoothly. We highly recommend their services and feel like they will always be available if we have questions or need their help for anything. Thanks guys! 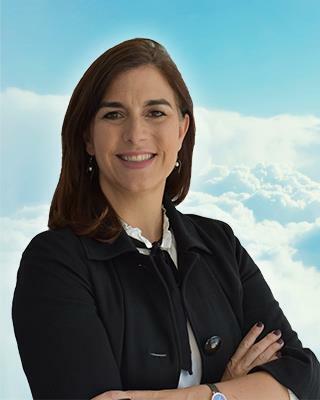 I would like to take this opportunity to say that we are extremely appreciative of all of the assistance from Alexandra Jimenez, from REMAX TROPICAL. Alexandra was very helpful with details of our closing of our new home. She is very knowledgeable and professional, as well as detailed oriented. She always kept us well informed every step of the way. What a great asset she is to the Remax team ! Thanks again, to Alexandra !!!! Santiago & Christie Torano. We have been to Punta Cana many times over the years and love it so much that my wife and I decided to investigate the possibility of purchasing a condominium there as our second home. We reached out to REMAX TROPICAL for assistance with our quest to find that perfect place in the Dominican Paradise on January 29th when we were in Punta Cana on our most recent vacation. We felt comfortable with REMAX TROPICAL because of their well known Realestate brand and reputation for great service. Wellington Gomez was the REMAX TROPICAL agent who came out to meet us on January 29th. Wellington was very courteous, exceptionally knowledgable and truly professional in every sense. Wellington showed us a number of very nice properties near the Punta Cana Village. They all came with community pools, contemporary architecture, easy parking, security and only minutes from the beautiful Playa Blanca beach, Punta Cana airport, medical center, great shopping and outstanding restaurants. We absolutely fell in love with a 3-bedroom rooftop penthouse. Each bedroom had its own bath and the workmanship including the materials were second to none. This building also had modern elevators and state of the art rooftop swimming pool. We have not yet made the decision to purchase a property in Punta Cana because of other pending commitments in United States but it is only a matter of time before we will be ready and when that time comes we will most certainly call Wellington to close the deal. Wellington & REMAX TROPICAL keep up the great job! Nous nous permettons de vous envoyer se petit mots pour remercier Johanna de l'agence REMAX TROPICAL à BAVARO pour sons attention, sons professionnalisme . Elle nous a guider dans toutes les démarches et a répondu à toutes nos question pour pouvoir finaliser la vente de notre bien, tout en restant agréable et souriante. He tenido el placer de comprar un apartamento en Bavaro con REMAX TROPICAL y debo decir que estoy extremadamente satisfecha de las atenciones brindadas por parte de la Sra. Johanna Frischbutter; ha sido una excelente profesional que me ha asistido en todo el proceso de una forma impecable. Muchas gracias Johanna! We had been looking for a "forever home" in Punta Cana but couldn't find exactly what we were looking for. 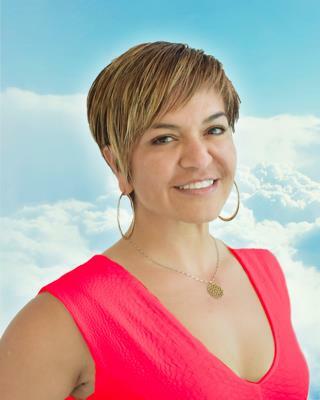 Once my husband contacted Sayra, she found us what we were looking for in just a few weeks, started the buying process, and we closed on the home very quickly. I ask a lot of questions and Sayra was right there answering my emails each and every day. Thank you Sayra ... you made this process very, very easy! 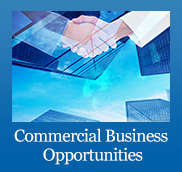 We have bought two properties from REMAX Tropical, meeting Isel during the second purchase. She was so friendly, knowledgeable and helpful! She helped us navigate the deal we were looking for on the exact property we wanted. She became our trusted friend in the process. Can’t ask for more! We met Isel Arias through a local concierge. Ultra friendly and knowledgeable not only in the properties for sale but educating us in which properties would best suit our retirement needs and rental needs . She was extremely patient explaining logically which properties wound rent more frequently versus upscale rentals (which we purchased one of each). Multilingual World Class Lady worth your confidence and trust . She walked us through the sales process, arranged legal Counsel and humored me by introducing me to the builder and staff , I’m old school , I want to see the builder/developer face to face. Contact Isel if you want more buyer information from me and she will give my contact information. Punta Cana is a place we look forward to calling “home”. I wish I was able to rate them ten stars. They are simply amazing!! 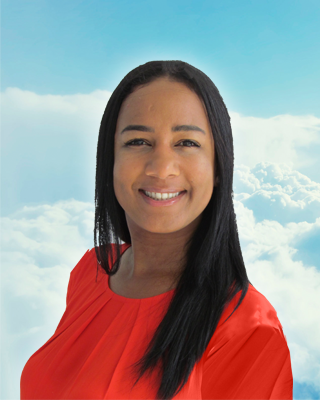 I want to thank REMAX Tropical for your amazing ability to match us with the perfect agent, Awilda Cubilete. She lived up to any standard we could have set. She was friendly, professional, patient and most importantly, she listened. Every step of the way she was available with the answers to questions, and even those that we didn’t think of. Awilda and Cheryl made buying my first property while out of the country feel easy! They have guided me through all the process from the very beginning to end. She showed me as many properties as my husband and I felt comfortable with. Awilda picked us up at our hotel, drove us around, assisted us with EVERYTHING we needed. As if it wasn't enough, to this day, after my sale was completed, I still, feel comfortable calling my agent, Awilda for any questions or concerns I may have and she doesn't hesitate to gladly assist (and trust me, you need people like that when you buy a property especially, when out of the country). Anyways, I'm so happy I can continue writing. Bottom line, if I was to buy again, I would trust my agent Awilda and REMAX Tropical. Thank you all so much, I'm extremely grateful for your over the top service. I want to thank REMAX and agent Awilda Cubilete for the helping me find my home. Everyone I met at REMAX was professional and curtious, and very helpful and for these reasons I tell everyone I meet who may be looking for a home in the Dominican Republic to contact REMAX. Today is the happiest day of my life. I spent all day looking at apartments with the greatest realtor I have ever met, Fabio Zonta. This guy was amazing. He explained all the ins and outs. Answered every single question I had and helped me find exactly what I was looking for. Thank you, Fabio. If you want a condo or a home in DR, you will be better off calling Fabio. Know I have an apartment and a new friend. Thanks to Fabio, Marci and Cheryl at Remax PC, my new venture into buying an international property went quickly and smoothly. Marci or Fabio picked me up numerous times to look at condos. Fabio even helped me get the electricity tranferred to my name.. not an easy process in the DR. Definitely recommend. As HGTV addicts, we always thought, why not us?! Our first family vacation to the Dominican Republic, and we were hooked! When looking to buy real estate in a foreign market, it is difficult to "pull the trigger." There are a myriad of unknowns. Working with a real estate agent who personally had been in our shoes made the transaction less intimidating. DebbieReynolds has experienced the process first-hand. She and the great team at REMAX Tropical have a network of professionals available and willing to hold your hand every step of the way. Debbie provided exceptional service, picking us up from our resort, showing us multiple properties within our budget, and pointing out local grocery stores, retail stores and nightlife along the way. We did not feel rushed, but like we were being shown around the area by a friend. You can see the genuine excitement Debbie has in sharing the infrastructure and growth in this area of the DR. 5 STAR SERVICE that we would recommend to anyone thinking of making the move or investing in this slice of paradise. We couldn't be happier with the condo we purchased. Thank you to Debbie and the entire REMAX Tropical team! We've made multiple trips to the Caribbean and to the Dominican Republic. Our first house hunting experience with another agency was not productive. This time, we contacted Re/Max Tropical in advance of our trip and Marci was a gem! She remained in contact via email to refine our desires so that we wouldn't waste time seeing property that didn't "check all our boxes." We spent a great day together looking at more properties than we anticipated and returned to our hotel with plenty of thinking to do. Two days later, as previously arranged, Marci picked us up at our hotel again and took us to our #1 choice: Cana Rock. We are now in the process of purchasing. If it weren't' for Marci's expertise and personality, we might still just be dreaming of our retirement to the Dominican Republic. Thank you, Marci! We consider you part of our new Dominican family!! First off, let me say that I am no stranger to shopping for real estate properties. As with any working relationship, one must tango with a quite a few agents before finding the right dance partner. With Debbie Reynolds Rogers from RE/Max Tropical, it was like Dancing with the Stars. Once we figured out the parameters of my dance floor and how to coordinate the dips and twirls, Debbie waltzed with me towards finding the right condo in the right location at the right price. I couldn’t be happier with my purchase. While I do not live in Bavaro full-time, I do visit on a regular basis. Other times, the condo rents out pretty consistently through my property manager. Debbie and I have since become trusted friends and neighbors. The remarkable thing about Debbie is that she doesn’t walk away from her clients once the real estate transaction is completed. She maintains relationships and is super helpful if you need guidance or advice. But please don’t take her for granted, because she is only one person and definitely one of a kind!! We need to keep her healthy and happy in Paradise for as long as possible!! So, a big thanks to Debbie and the RE/Max team for helping me find my little piece of Caribbean Paradise, where I am free to cha-cha and hip-hop and merengue as I please. Our experience with REMAX Tropical has been very positive. 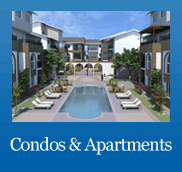 Our agent Debbie helped to find us a great condo at the right price. She also helped to get our condo sold. Debbie is a very honest and caring person. She is not only our agent; but our friend. Debbie is always there to help us, should we need something or have a problem. We have met many new friends through Debbie and totally enjoyed our time with her. 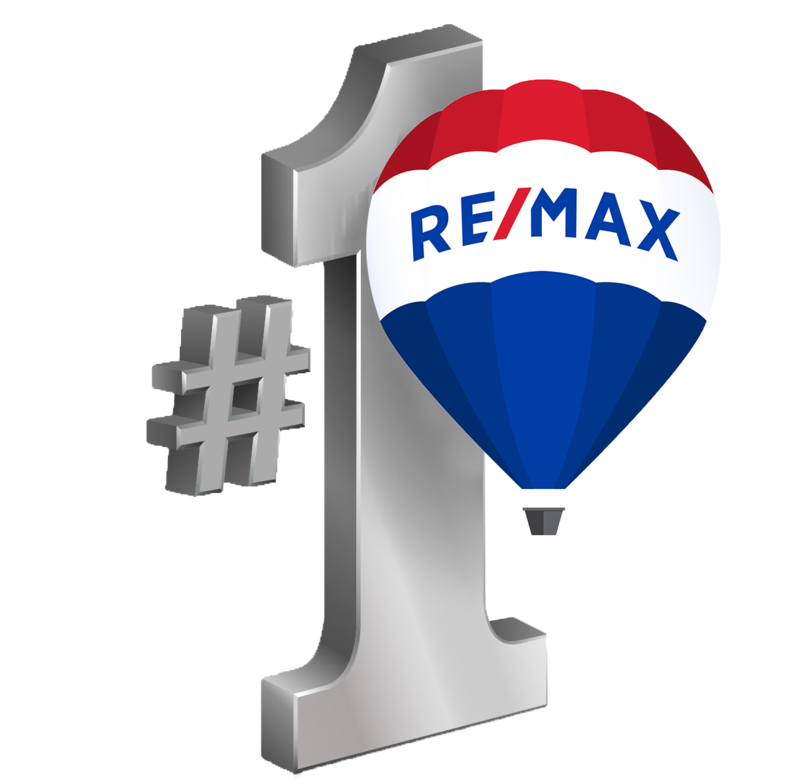 The whole team of people that we came into contact at REMAX were very helpful. Awilda on Reception Felipe who assisted with the furniture delivery and the owner Cheryl who assisted with the sell. We have been made to feel welcome to call anytime should we need assistance with anything that we can’t handle ourselves. It is so nice to know that you have someone as close as your phone when you have a problem or need assistance. Should we require any further assistance with Real Estate Transactions in the Dominican Republic we will for sure be using Remax Tropical and Debbie as our agent. Thank you all for making our experience in the Dominican Republic a pleasure. Thank you so very much Cheryl and Awilda for all your help and efforts in getting my house sold! I have been in touch with Debbie Reynolds for the past couple of years. She has been awesome from the start when we were trying to decide if we were ready to make the commitment of moving to the DR and live the tropical life. She has fielded numerous questions and helped us in deciding between buying a house or go with an apartment. We eventually decided on going with a new apartment that is being built. We went to the DR on vacation and Debbie was there for us, she picked us up at our resort and took us to see where the apartment will be built as well as showing us around the area, where the local restaurants, markets and malls are located. She spent a couple of days showing us around and answering all of our questions, she even spent three hours waiting while we got a bank account set up. Working with her is great, I have recommended her to several of my friends. Our experience has gone smooth due to her great customer service skills and great personality. Mis experiencias con RE/MAX Tropical / Bavaro son excelente. Los procesos estan claro, los empleados son amables y cordiales. RE/MAX Tropical administra mi casa ahora casi 3 años con exito. Tambien el proceso de venta con ellos esta muy claro. Estoy muy feliz de tener a RE/MAX Tropical, es un excelente socio de cooperacion. Gracias equipo RE/MAX Tropical, especialmente Andres. 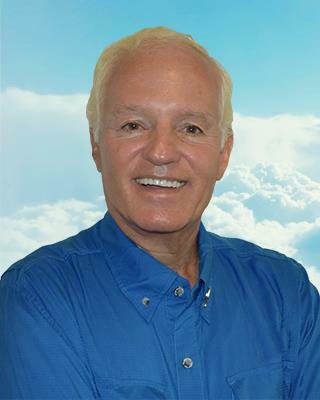 I am extremely satisfy with the professionalism at all times I received from Andres Madera at RE/MAX Tropical. 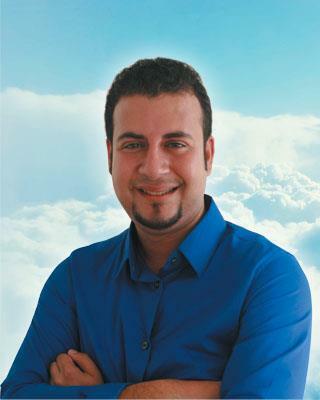 Andres was always available to me and work very hard to sale my Condo. Andres took the time to walk me through the process step by step so it wouldn't be difficult for my wife and I. furthermore the day of our closing we arrived at noon to Punta Cana and he was waiting for me to close immediately which only took about hour. soon after he drove us to the bank and wire the money to our account. Thank you so much to Andres and his wife Cheryl, you have an excellent team. I now have a wonderful home in paradise thanks to Fabio and Cheryl at RE/MAX Tropical! They made the process, that otherwise might have been daunting, very easy for me, particularly making a purchase from long distance. Fabio and Cheryl were so friendly, knowledgable, professional, and available to me. I had no doubt that I could easily place my confidence and comfort level in their hands and I am now happily living a dream! My husband and I went to Bavaro for the 1st time in Nov 2014. Stayed in a condo... not really looking to buy... Debbie Reynolds of RE/MAX Tropical lived in the condo complex we stayed in. She showed us a condo not even on the market yet in the complex next door. We loved it and bought it! Debbie was very patient and answered all questions and explained the entire process. Everyone at RE/MAX Tropical was very friendly and helpful. It was a great experience! Had awesome experience working with Debbie Reynolds as our agent at RE/MAX Tropical. She is WONDERFUL and helped us every step of the way. She is thorough, professional, and very knowledgeable and a real pleasure to work with. She made us feel so at ease and we couldn't be more thrilled! 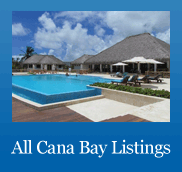 We highly recommend Debbie Reynolds if you are looking to purchase property in Punta Cana. She is a great person and will provide top notch service! Don't use anyone else! It was our first experience buying outside of Miami, Florida and Adriana dedicated her time and worked around our specific demands in finding our retirement home in Punta Cana. Adriana was very professional and went far and beyond our expectations. We appreciate the courteous treatment and patience in which we were showed around. After seeing all the properties she thought we might be interested in, and after deciding on purchasing Mia Hermosa, Adriana helped us meet with the builder and lawyer, all within a few days. We are definitely looking forward to my retiring in Punta Cana and enjoying this beautiful property in paradise. Thank you Adriana and the RE/MAX Tropical team for finding our dream home !! My experience with Cheryl at RE/MAX Tropical was truly delightful she helped me find the Property of my dreams at the right price. She helped me for financing, and also helped me establish a Dominican bank account. Now after the sale she's helping me rent it as well...She truly runs a full-service Real Estate Office. They are very personable and professional, most of all bi lingual. 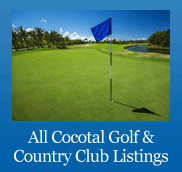 I recommended them to anyone who would like to buy property or rent in the Punta Cana area. They will go above and beyond for you... If you have any questions about her or her office e-mail me and I will tell you about it. Our first visit to Punta Cana (PC) was in 2013. After our visit to PC we knew we wanted to come back to explore beyond the resort we were staying in. Our dream was to live on an island one day. The following year while staying at another resort in PC we were able to make arrangements to meet with a realtor. Cheryl Henderson who is the Broker/Owner of RE/MAX Tropical picked us up at the resort and took us around to several residential communities. What a great experience being with her that day. We were so fortunate to be with someone who was so knowledgeable and very well respected in PC plus such a pleasant person to be around. In 2015 we decided this time not to stay at a resort but instead lease a condo so we could learn more about the area, culture and people. Cheryl was able to find us a privately owned condo. So we leased it for 3 months and we were hooked. This time one of Cheryl's sales associates, Debbie Reynolds picked us up and drove us around to several other condos in PC. Debbie was also very knowledgeable, professional and sweet. Unfortunately during our stay we were called back home due to a family emergency but we knew one day we would return. Cheryl kept in touch with us throughout the year not only on a professional level but a personal level with her kindness and concern. So here it is 2016, 4 years later and we are ready to go back to search for our place. Cheryl told us about a condo for sale at SOL Tropical which we had toured with Debbie in 2015 and was due to open in November 2015. 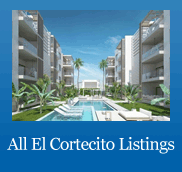 We were very familiar with the condo and impressed with the detailed work inside plus the location of EL Cortecito. Hallelujah!! We finally purchased our beautiful condo at SOL Tropical in February. You talk about a smooth process of purchasing, Cheryl and her team handled everything for us. We had so many questions prior to the purchase and Cheryl would address all of our questions in a prompt manner. I can honestly say that I never have felt so good about our decision to buy in PC and to have such a great experience with the RE/MAX Tropical office staff and sales associates! Not only did we buy a condo but we gained a friendship with some great people at RE/MAX Tropical. A big "Thank You " RE/MAX Tropical in making our dream come true. I met Cheryl Henderson in 2013 & our relationship grew with communication over the internet , giving me & my husband Rudy with all the information & tools to Accomplish our dream to purchase in The Dominican Republic Punta Cana , 2014 the journey began , we finally purchased our dream home (SOL TROPICAL) 🌴🌴 Yes!!!! & the process was SMOOTH sailing .... Cheryl Henderson is a ROCK STAR when it comes to the perfect place to choose to relax , retire , vacation or what ever your hearts desires 🌴🌴 ..What a wonderful experience we had with DR4Sale/RE/MAX Tropical Punta Cana , Cheryl Henderson & her Team were TOP NOTCH service , any & every question that was asked of her was fulfilled , she & her team was always there to help with , cable , electricity , cell phone service , shopping , taxi service & of course the best deals in real estate property on the island , me & my husband is extremely without a doubt will always choose this awesome Team!! , we are Rudy & Cheryl Lajoie , thank you Cheryl for the fast response on buying & selling in the #1 Caribbean Island in the world , you guys ROCK!!! .. Thank you Awilda for helping with all the phone calls & emails ... Thank you Debbie for driving me to every property I had on my list your the best!! & I really enjoyed my time with you 😘😘, Thanks Jose for picking me up from the Airport & taking me shopping for food , Thank you Andres & Joanna for your support in the office .... THANK YOU TEAM FOR SENDING YOUR LOVE & SUPPORT AFTER LOOSING OUR BELOVED SON TRAVIS CARTER (1990 - 2015) ....We Love You all!!! Yo vivo en UK y la Licenciada Awilda me ha vendido mi casa en Cocotal. Estoy super satisfecha con su trato, ha sido amable, super competente, extralimitandose en sus tareas, servicial, educadisima y muy atenta. A pesar de todas las dificualtades de la venta surgidas fundamentalmente por la distancia, ella supo solucionar cada pormenor y llevar la venta a buen fin. En mi experiencia a lo largo de mi vida tratando con publico debo decir que no hay mucha gente como ella. Es una gran profesional y sus gestiones han sido impecables. Me consta que la persona responsable, la Senora Cheryl Henderson es igualmente una excelente persona que sabe tratar a sus empleados con el respeto y atenciones que se merecen y esto se ha reflejado en todo momento en el trabajo de la Licenciada Awilda. No me cabe ninguna duda de que el gran exito de Remax Tropical en Punta Cana se debe fundamentalmente al exquisito trato al cliente y la inmejorable calidad del servicio que la Licenciada Awilda en particular y el equipo de Cheryl en general dan al publico cada dia. 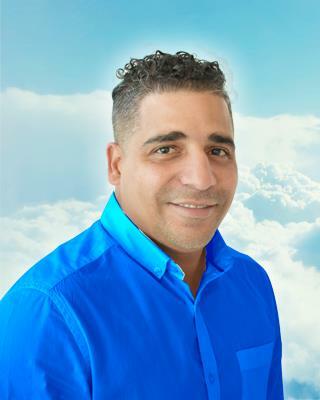 Felicidades a Remax Tropical en Punta Cana y un fuerte abrazo en particular a la Licenciada Awilda, para mi una amiga para siempre que hizo posible, con dios mediante, algo muy complicado y dificil en estos tiempos que corren, vender mi casa en tiempos de crisis en un tiempo record. Besos Awilda y Cheryl y exito en todos sus asuntos profesionales y personales. RE/MAX Tropical Punta Cana was the number 1 realtor I chose when I purchased in Bavaro in 2013. The staff is knowledgeable of the Punta Cana area and was able to provide me more than enough information during the closing process. I would highly recommend working with Debbie based on her years of experience in residential and commercial real estate. 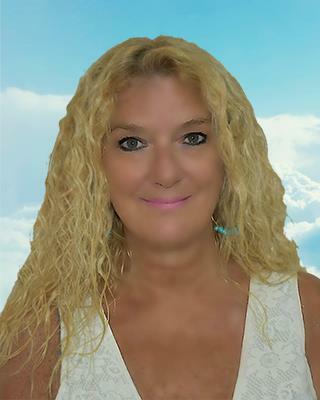 Cheryl was amazing and I enjoyed working with her during the time I was looking to purchase my vacation home - again she is knowledgeable of the Punta Cana area. 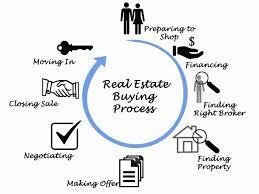 Both Cheryl and Debbie are patient and take the time needed to help you understand the home or business purchasing process in the caribbean. Thanks much! 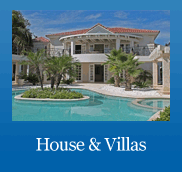 If you are looking for a place to live in the Dominican Republic, you must contact Cheryl at RE/MAX. She took us everywhere in Punta Cana to find the perfect place. She was the most knowledgeable person about the area and she spoke fluent Spanish; all of which we really needed. She helped us find the perfect place for investment and living. Her credentials are impeccable. We are currently renting our condo, but plan to live in the Dominican Republic soon. No need to go to anyone else. Cheryl and Debbie at RE/MAX have everything you need and can answer all questions. Most of all, the experience was fun. For the past seven years my wife and I have been scouring the Caribbean to find the perfect vacation home that would serve as an investment now and as a retirement home when we get to that stage of our lives. We looked all over the US and the Caribbean and eventually fell in love with the Punta Cana area of the Dominican Republic. By nature my wife and I are very cautious people; we research thoroughly and can take weeks to make small decisions such as which $25 laptop cover to purchase. After a thorough online investigation that included reading every forum that we could find, Cheryl and her team at REMAX Tropical were the clear choice to be our brokers. Not only are they affiliated with the well respected and globally recognized REMAX brand, but her online reputation was stellar and we were delighted to see that she was recommended by a number of former clients on various online forums. During the process we emailed Cheryl what is likely over a hundred times with all types of questions. Cheryl promptly responded to each email never getting frustrated or annoyed with our apprehension about purchasing property overseas. We asked legal questions, opinion questions, and recommendation questions; Cheryl answered them all and when the answers to our questions were too complex for email, Cheryl picked up the phone and called us to make sure that we understood her response and to answer any follow up questions that we had. Even now that we have closed on our property and are enjoying it, Cheryl continues to check in on us to make sure that everything is going well and ensure that we know she is still there to help if we ever need it. If you are considering purchasing a home in the Dominican Republic I highly recommend that you use ReMax Tropical where Cheryl and her team will assist you every step of the way. They are honest, hardworking and trust worthy people who are well respected in their communities, and you should not hesitate to use their services. I would like to thank Cheryl and her team at REMAX Tropical Punta Cana Bavaro for their assistance with my condo purchase. From start to finish, her team was there for me and my wife, walking us through every phase of the purchasing process for our first overseas property. We could not be happier with the professionalism, service, and attention to detail that Cheryl's team provided us and would recommend them highly to anyone looking to purchase their piece of paradise in the beautiful Dominican Republic. Based on the quality of service we received from REMAX Tropical Punta Cana Bavaro, my wife and I look forward to doing more business with them in the future. Dr.& Mrs. M. O. Barrett III, Ph.D.
Cheryl Henderson and REMAX Tropical DR4Sale were totally instrumental in getting our one bedroom condo in Palm Suites sold. We were using another manager/agent in the past, and Cheryl convinced us that she could get our unit sold and she marketed our property convincingly. With tireless effort, our unit was sold and the financing handled to our satisfaction. Anyone wanting to buy or sell in Bavaro Punta Cana should speak to Cheryl, and try REMAX Tropical. They will get the job done. I purchased my condo from aboard which is a scary thought. I exchanged many many emails with Cheryl and Noel and they answered promptly, with clarity, and most importantly, with honesty. I had all of my questions answered and was given very good advice on locations and features. They were alert to the neighbourhood, rental options, re-sale values, and quality of workmanship in the units. When I arrived a few months after my purchase, there were no surprises. I was looked after from day one and was more than pleased with my purchase and more importantly, the professionalism of their work. Further, they recommended a local lawyer who also had great communication skills and closed the deal with precision. I am thoroughly impressed with Cheryl, Noel and REMAX Tropical Reality. Cheryl is a top-notch realtor! She is educated on every aspect of real estate and is very willing to help others, regardless of whether they are ready to buy or sell. 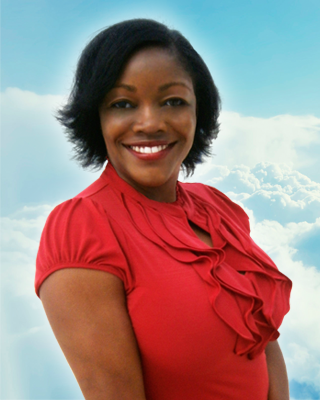 She is my "Go-to Girl in Real Estate" not only is she knowledgeable but she's extremely professional and responsive. Cheryl is the perfect example of someone who works overtime to earn your business and trust. I highly recommend her for any rental or real estate needs. You have been absolutely wonderful and have gone out of your way to take care of numerous problems for us for which we are grateful. You are highly professional and we would buy from you again in a heartbeat which we probably will as we are looking for something larger. Hi Cheryl, Just wanted to thank you and your group for the great service before during and the continuation of great service after our purchase. We researched the internet and contacted Cheryl’s office to set up some viewings of several condo’s in the Punta Cana area. Cheryl was right on time to pick us up at our resort and had all viewings ready for us that day, she was great explaining everything we needed to know about condo ownership in the Dominican Republic. We did decide to purchase and although we were a little nervous about the process, it was clear Cheryl was in control and put our minds at ease very quickly. The whole process went as smooth as possible and Cheryl was in constant contact to keep us informed every step of the way. The great service did not end after the purchase, Cheryl is still in contact and takes care of any needs we have. If you are considering purchasing a property in the Dominican I would highly recommend dealing with Cheryl and her team. Dear Cheryl; We wanted to thank you for all your help in making our transition from Florida to Bavaro, Dominican Republic. We were very concerned about dealing in real estate from the United States, but your service and personal attention to our needs put us at ease. I would recommend you and your company to any friends or relatives who have an interest in moving to the DR, and want to wish you all the best. In February 2013 we came to Bavaro, Dominican Republic, after a 6 month internet preparation. Our goal was clear; we wanted to buy our piece of Paradise! We were looking for a 2 BR condo, as close to the beach as possible within our budget. We wanted the condo for our personal vacations at least once a year and we wanted to rent it out the rest of the time. We had been contacted by Johanna Frischbutter of REMAX Tropical by telephone (amongst other brokers) and we explained her our project. We were to spend only 9 days in the DR and so our time was precious! We met with her and we felt that she was trustworthy right away. We had several visits planned with several brokers on our very first day. We were guided and advised by Johanna and her personal involvement helped us a lot. Thanks to her knowledge of the country, her professionalism and her personal contact with the promotor, we were able to make the right decisions at the right moments. She was very helpful and also advised us to meet other professionals as the lawyer, the interior decorator and even the rental manager. Thanks to Johanna and the staff of REMAX Tropical, we were able to sign for the purchase of our condo just before going back to France. The administrative procedures were started and since we’ve been back they continued helping us. We are the owners now of our own small piece of Paradise, and we can’t wait to get back to enjoy it. We will certainly meet Johanna again and have a toast with her to celebrate the conclusion of this wonderful and exciting adventure. Lo que puedo decir es que Noel Luperon ha sido un caballero con un comportamiendo profesional, cordial, educado y presto a responder cada interrogante generada por nosotros. Agradecemos las sugerencias dadas antes de tomar nuestra decision de compra, considerando que somos clientes foraneos, no ciudadanos Dominicanos ni residentes en el Pais. Agradecemos por parte de RE/MAX Tropical la colaboracion durante el proceso de compra de la propiedad en el Condominio Estrella del Mar, hasta el acondicionamiento del inmueble para ser habitado. From the very beginning of our search Adriana was always in contact, giving us accurate information about the market in Punta Cana. She showed us many many condos before we found one that we liked, and she was tireless in helping us with our search. No matter how many condos we looked at, she knew everything about the communities and was honest and forthwright from the beginning to end. Her advice and knowledge was indispensible. She was a great find indeed. I've worked in real estate in Canada for many years, and all of real estate could use more honest knowledgable agents like her. We couldn't be happier here in Punta Cana, and we have Adriana to thank. While vacationing outside of Bavaro Beach, Punta Cana, Dominican Republic, my husband and I sought out a real estate agent because there were some condominiums we were interested in looking at. To our surprise we became condominium owners within a week of meeting Brenda. She helped with the entire process! Brenda’s connections and knowledge made our purchase pain-free as she assisted with the banking, locating a lawyer, finding us a decorator – well, the list is endless. 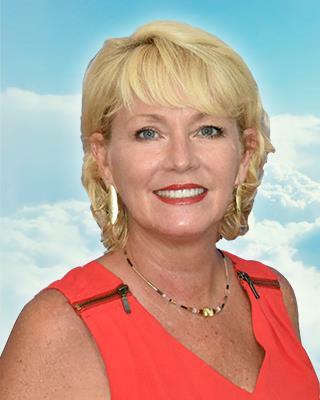 I have had the privilege of working with many good agents, having bought and sold quite a few properties in my lifetime, but I have to say that Brenda Chapman absolutely goes above and beyond the call of duty when it comes to her job. A great example of the depths of Brenda’s commitment to her clients is how she rescued four girlfriends and me from an evening of darkness when there had been a misunderstanding with CEPM, the hydro company in Friusa. I called her upon my arrival at my condominium when I discovered the hydro had been shut off because I didn’t know who else to turn to and she helped me fix the problem within minutes. She asked her boyfriend, Marcus, and he accommodated by picking me up at my condo and driving me to CEPM to pay the bill with just minutes to spare before they closed for the day. Brenda has helped us make the transition to Dominican condo life by always looking out for our interests and being eager to help us in any way long after her obligation. She makes you feel like part of her family and I look forward to my visits with her every time we return to our condo. I highly recommend her if you should be in the market for a Punta Cana realtor. She’s the best! Hi Cheryl! 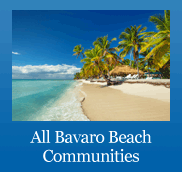 I want to take a moment to thank you and admire you for a job well done in selling my condominium in Bavaro Beach. It is remarkable how you were able to sell my unit and get everything done just right especially since your were dealing with me as an absentee owner. WOW!!! I can go on and on. You have masteresd the absentee ownership to a science. With an agent like you, I feel comfortable buying anywhere in the world if it were possible. I will recommend you and REMAX Tropical with emphasis to whomever needs real estate services in the DR. Thank you and may you continue to be successful in all your future endeavors. 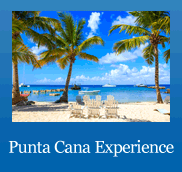 Recently I had the opportunity to purchase a property in Punta Cana DR. Being from the states I was very nervous with how the entire process worked (do I own the property, is it a lease, can I will it to family, taxes, property management, etc. etc. etc.). 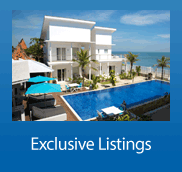 I found my real estate agent at REMAX Tropical, (Adriana Papadia) on line and she was AMAZING. She showed me many different properties and explained which areas were best for investment/vacation/living/ etc. She was able to answer all my questions, advise me on the purchasing process, help me with finding a credible DR lawyer and much more. I was extremely impressed with how easy the process was. I highly recommend anyone looking for properties in DR to contact Adriana at REMAX Tropical as she is absolutely the best. I am now the proud owner of a great beach front condo in beautiful Punta Cana. We would like to tell you how happy we are with the service that REMAX Tropical and Johanna Frischbutter gave us during our recent condo purchase in Punta Cana. 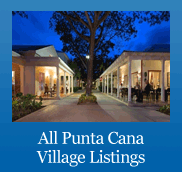 We arrived in Punta Cana on Friday and Johanna had several properties for us to view on Saturday. She spent the full day with us and not only showed us the vacation home of our dreams as well as many other lovely properties, she went out of her way to familiarize us with the area and included dentists, clinics, pharmacies, restaurants and many other services that are offered locally. At the end of the day we felt so at ease and had no worries of purchasing a condo in Punta Cana .... we were at home.She spent several hours on Sunday, a day scheduled with her family, to make sure that all our questions were answered and the paper work was in order before we headed back to Nova Scotia on Tuesday. We could not have had anyone more open to listen to our needs and so easy to talk to and understand. We're looking forward to inviting Johanna and her husband to help us celebrate our first visit to our island paradise condo. Thank you REMAX Tropical for providing us with a wonderful experience of purchasing our home away from home. Hi Cheryl Rinehart and the entire DR4Sale REMAX Tropical team!! When I called Alicia from the Dominican Republic, I told her how I completely trusted all of you, and how comforting it was to work with people who are invested in making our dreams come true. I further attempted to explain how when I entered your office I felt as if I was the center of attention and that everybody wanted to know what they could do to help me. It was so impressive to watch you all at work!! It has actually been my pleasure to work with you, I have always felt like part of your team and family. We feel it is very important to let you all know that you really are in the business of making peoples' dreams come true!! Sometimes in life we are not sure if what we do has a purpose, or changes even one person's life in a positive way. We want to assure the entire DR4Sale, REMAX Tropical team that you have touched our lives in a very meaningful way. If there is ever anything we can do to repay your kindness and generosity, please don't hesitate to ask!! We feel as if this dream would never have been realized if it weren't for DR4Sale REMAX Tropical's commitment to providing personalized service to us.....the McCurdy family!! We're back in the San Francisco Bay Area, and our condo is furnished and ready to rent. We wanted to write and thank you for making our purchase possible, for your support in dealing with the developer, and throughout the closing process. We especially appreciate the post-sale support of all the details, helping the electrical service go smooth, dealing with appliance installation, etc. Alex and your staff are fantastic! Everything really changed when I sent an e-mail to DR4sale (now REMAX Tropical). I described what I was looking for, hoping to finally get an answer from somebody. The next day I received a personal e-mail from Elle, Cheryl Rinehart‘s sales assistant. She addressed all my question and sent me some properties that might be a match for what I was looking for. Over the next couple of days we exchanged many e-mails so I was really getting confident with my Dominican Republic investment. Whenever I had a question I would get an answer the same day or the day after. My wife and I had scheduled a vacation in the Dominican Republic and we decided to see some properties and buy something if we felt confident. So we set the date and time for Cheryl to pick us up from the resort we were staying at. We really have a lot of experience with buying and selling Real Estate here in Canada and we dealt with many agents but we never have had such a satisfying experience as the one we had with Cheryl Rinehart and the whole DR4Sale (REMAX Tropical) team and business she was running. We found the perfect apartment for us and for the price we wanted to pay. We submitte an offer, bought the property, and arranged the meeting with an interior designer, recommended by Cheryl, who purchased all of our items on the beautiful Dominican beach. Mrs. Rinehart is an excellent professional, very disciplined and focused. 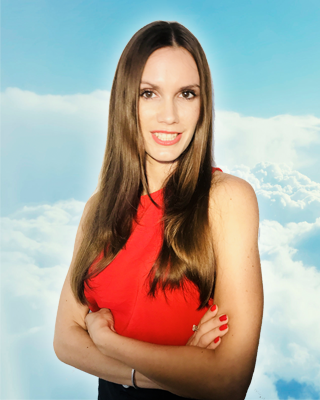 I highly recommended her to any individual who seeks positive and maximized results. To excellently and exclusively serve our clients’ real estate buying and selling needs, assist with life transitions, and create long-lasting relationships that fortify ourselves, our clients, and our communities from the inside out.